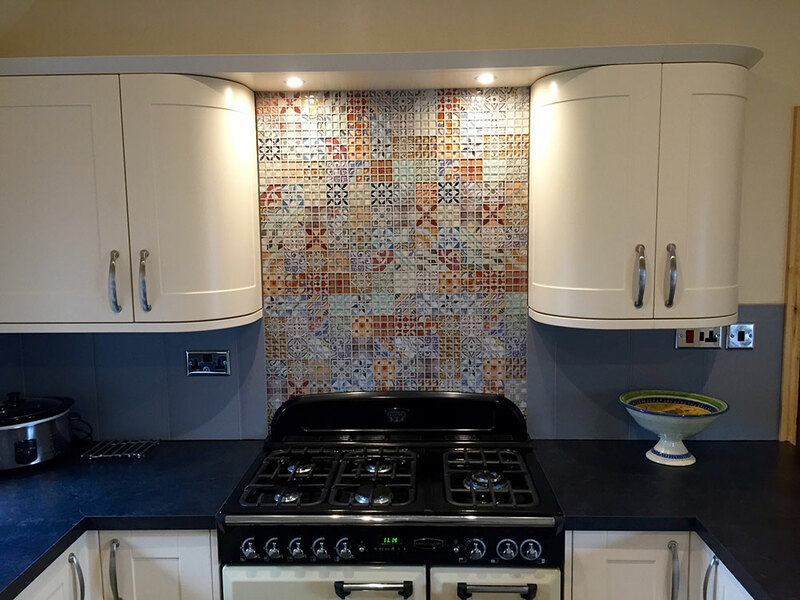 Lovely project to work on in a beautifully restored converted stable building. 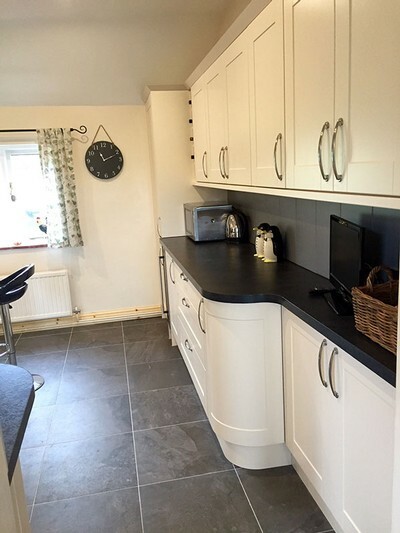 We stripped out utility and kitchen and fitted new ones. Notice the beautiful oak beam fitted above kitchen/utility door which was installed higher than the old ugly timber to add extra head height for a particularly tall customer. 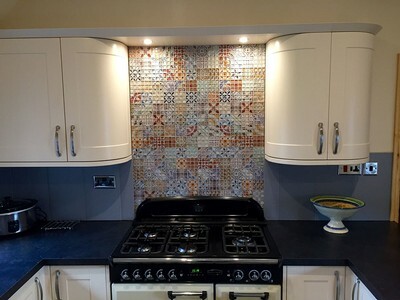 Mosaic tiles behind cooker make a stand out feature. Corner units and all edges cut to curved corners.